Register Log In GliderCENTRAL Forums Glider Talk and Traveling saved Payment Plans? I've never done this before... How do you setup payment plans with potential buyers for your gliders? There have been many breeders that set up payment plans and got burned. 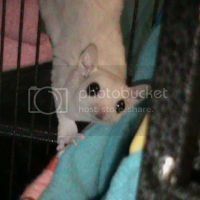 I am not a breeder but I would have to wonder if someone cannot afford the full price of a glider - can they provide the cage, food, vet care, etc that goes along with parenting a glider. Some folks have even found that the gliders they have not been full paid for were sold/given to someone other than the original buyer. I feel payment plans are risky for the seller and potentially a bargain for the buyer. If they fail to pay, you would need to take them to court to recover the remaining payments. Last edited by CandyOtte; 09/14/12 11:10 AM. I have done payment plans with breeders and the payments are made before the joey goes home, so in the 8-10 weeks you are waiting for them to be old enough and ready to go to their new homes you are paying them. Payment plans set up are great IMO for those who want the more expensive gliders and maybe dont have the "lump" sum at once. I have done this and its worked out great with no issues. 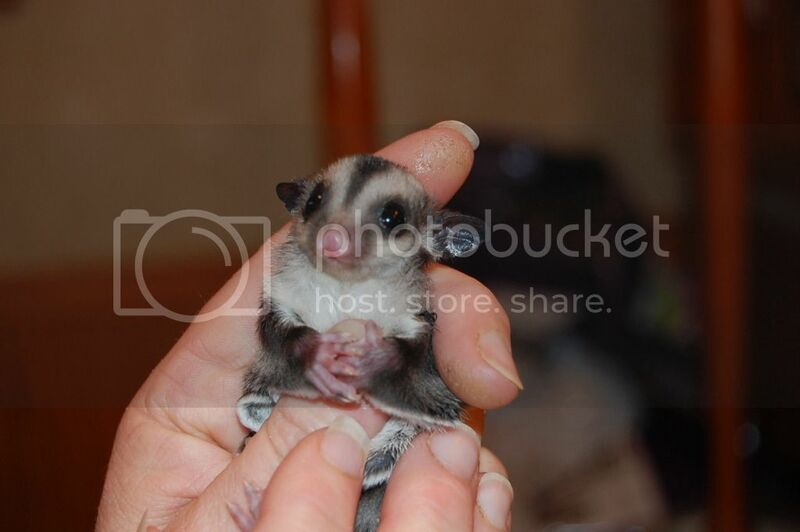 Also if you build a good friendship with your breeder too that always helps with the trust factor, and for those who will put down money for a glider and pay over time probably are not going to "bail" when they have put money already toward their new baby. Every situation is different and if you use your best judgement most times it will work out!! I would never let a joey leave without being paid for in full. Last edited by Lunalove; 09/14/12 11:43 AM. Tricia, fuzzbutt slave and lovin it! I've never gotten burned on payment plans because I don't allow a glider to leave my home until the balance is paid in full. We set a date for the final payment to be made. If it isn't made by that date, I have the right to refund all monies (minus the non-refundable deposit) and find a new adopter. The only time I've gotten burned is when I've waived the deposit. Nearly every one of those people ended up backing out at the last minute or worse, they would string me along for weeks even though they had no intent to adopt anymore. So, be firm on deposits! I'm too trusting and have gotten burned. Also, like Stitchsmom, I've gotten strung along because I gave a person a break on putting down the deposit. :/ Now I'll only do payment plans if a deposit is put down within 7 days and the glider doesn't go home until AFTER they're paid off. They have a certain amount of time to pay them off. Consistently missed payments will result in a cancelled adoption. Believe it or not, most of us breeders aren't in it to get rich. Sure, getting money is nice, but in the end a good home will win out over the person will the biggest wallet. So, if you're serious about wanting a joey and the price is a bit steep just let the breeder know what you CAN afford and they'll probably work with you. Payment plans... I recommend just not doing them. IMO a payment plan where the joey is paid for in installments before leaving the breeder's home is very very different from taking a joey home on good faith and then continuing to make payments on said joey. The latter has ruined a lot of friendships and caused a lot of rifts in the community. Thus I won't do it, even with close friends. I don't care if it makes me seem really strict or weird. In the end, it is up to you. There is no one way to do it. I have let new owners make payments but the joey never leaves until it is paid for in full. I'd say if you let a joey go before it's paid in full do so knowing there is a good chance you will never recieve the rest of the payment. I have actually done both, and luckily have not been burned yet. It has taken time to get paid, sometimes longer than I would have liked, but in the end I did get paid. Not so sure I'll be doing it again. That being said, I only recommend accepting payments prior to the joey going home, with it being paid in full in advance. This will save a lot of heart ache and frustration for you. If they can't get the joey by 10 weeks OOP, or other pre-determined time, then you may want to charge a (small) fee for the continued care for the joey (depending on how long it would be). You also need to have a strict refund policy. 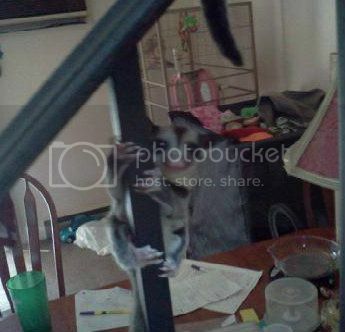 How do you (the seller) assure the buyer that they can trust you to give them the glider when full payments have been made?? Good question. When I was getting my girls from Jade it was just understood. There wasn't really a question of it. We just trusted each other. I made my deposit and it was promised that I would bring the remaining sum on pickup day. So it really was all about trust because she trusted me to have the rest when I arrived at her home and I trusted her to be genuine and honest. If possible, have your prospective buyer come and meet you and the babies to reassure them? I've been breeding for awhile. I have several folks that have given me permission to use them as references in the case of an adopter feeling nervous about a deposit or payment up front. They can assure the adopter that I do go through with my adoptions. Also, I'm a member here. I always direct them here. They can see how long I've been around the community and contact me via the PM system. They can even ask about me here if they so choose. It's important to keep in contact with an adopter. They probably won't worry about a thing so long as you are quick and consistent with updates, pics, and vids of the joey(s) they are adopting. Last edited by StitchsMom; 09/15/12 11:18 AM.